Model airplanes are just about as much fun as you can legally have within your allotted air-space. I mean, what’s not to love? The free, open air on an overcast day – your sunglasses on your nose; helping you see your magnificent beast below the clouds, soaring through the open sky. It’s a paradise. This should be a model plane you’re already quite familiar with considering it has been the most popular starter kit for young aviators all over the US for over twenty years. It’s made of balsa wood, so you know it’ll fly like a champ, and a rubber motor powers it so you don’t have to worry about all those pesky batteries. This model plane was actually one of my first kits when I was a young man, so I know for a fact that it’s one of the best. Even though it’s a rubber band powered machine, it’s size os formidable. Nothing beats a kit that feels like a real plane instead of those cheap little kits you can buy from your local toy store. The only down-side to this kit is its ability to fall apart at any moment. Since it is held together with nothing more than some pegs and glue, this plane can sometimes blow apart on a windy day so be sure to handle this model with care. This luxurious plane has been deserving of this spot of the “best of all time” list for a while now. I’d say the only downside to this model airplane would have to be its inability to fly. 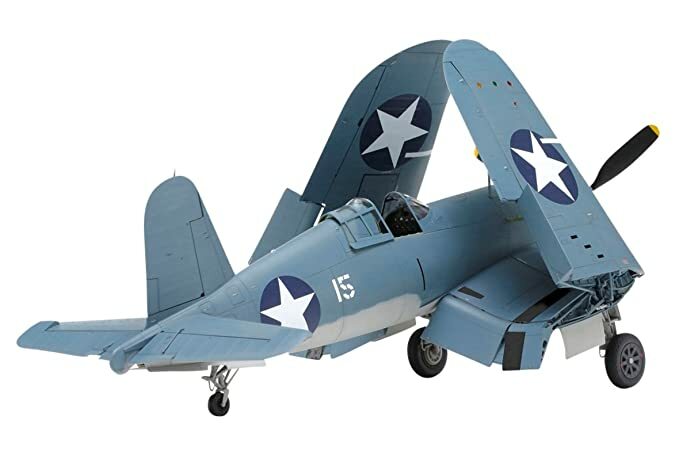 Now, I know all of you out there like your birds to fly, but with foldable wings, seamless panel lines, and beautiful paint job, this model plane can get away with it. Its decals can be easily damaged, so it’s best (in my opinion) to buy some decals from a third party to finish off this masterpiece. This big beautiful bird is the Revell B17G Flying Fortress, and it is not your grandfathers model plane. Its side alone is enough to make house-guests and model enthusiasts alike to ogle it in awe. The “Flying Fortress” features a realistic cockpit instrument panel that is easily viewed thanks to its enormous size and weight, and the historically accurate design of the plane certifies it to take the #3 spot on my list. Be careful handling this one though, because the pieces don’t fit together as perfectly as “The Birdcage” and if you end up dropping it even a dew inches – well, your plane might need a little reconstruction, to say the very least. Regardless though, it still makes an excellent model and a great conversation piece.